If morphine is a raindrop, fentanyl is a thunderstorm. The danger of an opioids market laced with fentanyl is immense, and it’s made its way to California. Fentanyl is a synthetic opioid that can be 100 times more potent than morphine, a natural opioid. Its clinical use is pain relief for opioid-tolerant patients who have a resistance to less potent narcotics. Since fentanyl is relatively cheap and easy to obtain, illegal distributors use it to dilute other drugs. California has seen a slight uptick in fentanyl overdoses since 2015 and three outbreaks this January alone. The UC Santa Cruz Cowell Student Health Center and Student Health Outreach and Promotion (SHOP) are preparing for the possibility of an increase in fentanyl overdoses in the state. The health center sent a campuswide email on Jan. 30 about the possibility of fentanyl-laced drugs coming to UCSC with information about the dangers of fentanyl and how to recognize overdose symptoms. Campus first responders are prepared to administer naloxone, a medication to reverse opioid overdoses, but raising awareness is the first step in preventing overdoses. Students can also buy nasal spray naloxone at the pharmacy and administer it to anyone they suspect has overdosed. SHOP educates students on harm reduction and partying safely. Party Like a Slug, a division of SHOP, reaches out to teach students who use drugs or alcohol about how to do it in the safest way possible. Fentanyl poses a risk to opioid users who may unwittingly consume it or overestimate their tolerance and end up overdosing because of its potency. Students who do not regularly use opioids are also at risk of overdosing on fentanyl if it has been used to cut other more sought-after drugs like cocaine, ketamine, and molly (MDMA). 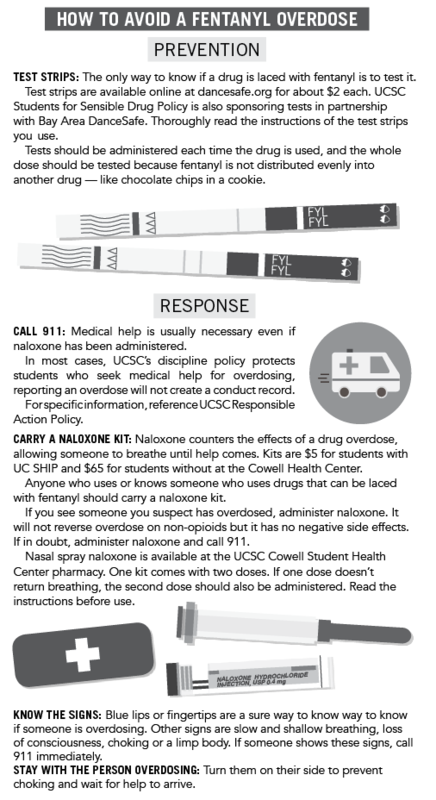 UCSC’s Responsible Action Policy protects students who report overdoses from being given conduct violations. The university encourages individuals to seek help for themselves and others. In some cases, UCSC’s disciplinary action can involve a nonjudgmental, educational conversation with an adviser at SHOP, Meg Kobe, SHOP director said. Regardless of university policy though, Kobe urges students to call 911 in any case of overdose. 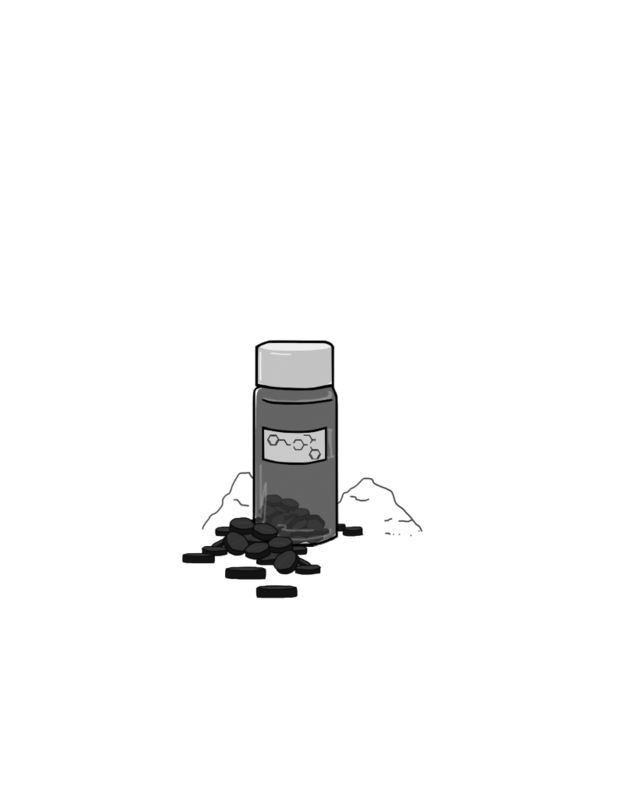 SHOP is a nonjudgmental and educational resource for students who may be struggling with alcohol or drug use.